The above observation is from The Forgotten Garden, a novel by Kate Morton, and it pretty much sums up the thinking behind a new program launched this year at the Topeka VA.
“Our philosophy is that if you get your hands in the dirt, it’s very healing,” said Peggy Tice, a nurse manager who runs the Stress Disorders Treatment Program at the Colmery-O’Neil VA Medical Center in Topeka. 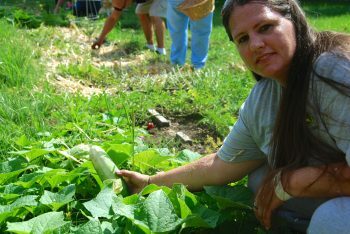 In the spring of 2016 Tice decided to introduce vegetable gardening as one of the therapeutic activities in her seven-week program for Veterans dealing with post-traumatic stress and other anxiety disorders. “It kind of takes you back to your roots, pardon the pun,” she said. “If you’re caring for something and nurturing it, it takes the focus off yourself. Plus, it’s fun. 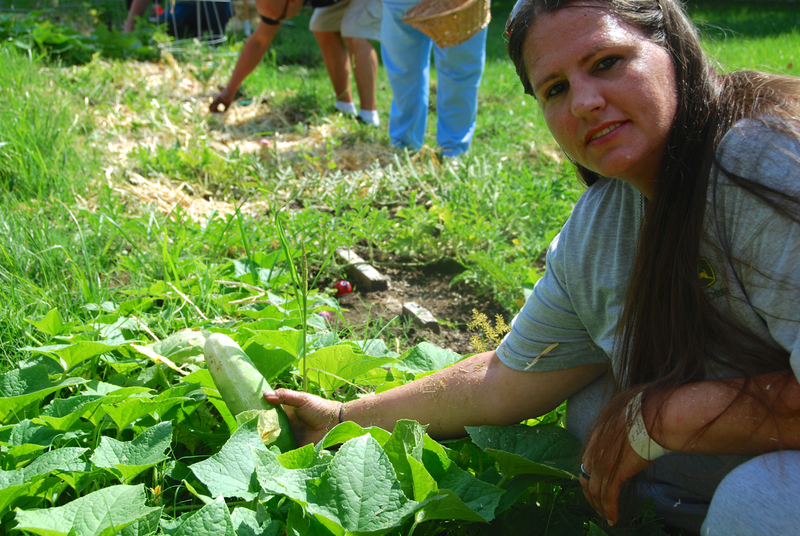 Angela Nealon displays one of the many cucumbers she and her fellow gardeners have nurtured together. The nurse manager revealed that her vegetable garden almost didn’t happen because of severe storms that hit Kansas earlier in the year. Peggy Tice said Tamara’s sense of reconnection is not an unusual occurrence among the Veterans in her Stress Disorders Treatment Program. “The longer you have PTSD, the harder it is to look outside yourself,” she explained. “But gardening gets you out of your head and that’s when your anxiety starts to go away. 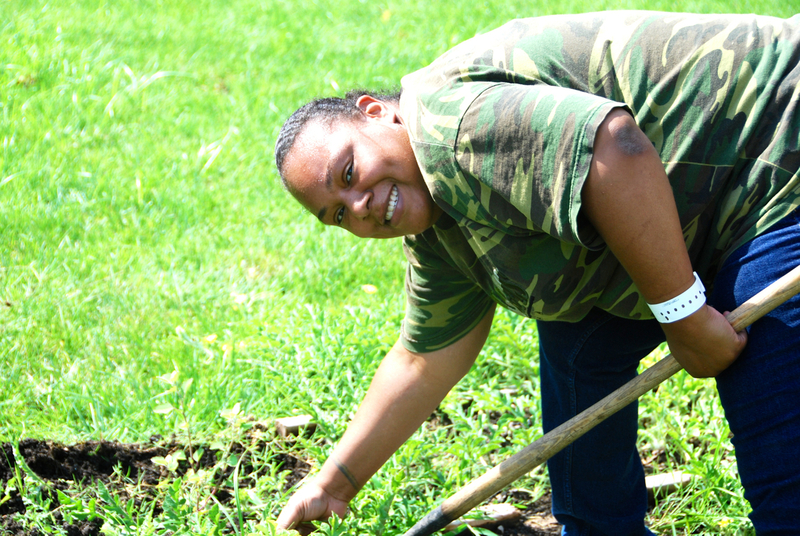 Angela said one of her favorite experiences in the garden didn’t involve gardening at all.